When a fatal road crash turns out to be murder, DCI JACK MASON is sent to investigate. Within the seemingly dark vaults of the police missing persons files, lay untold dangers. Young women are easy pickings for a serial killer who believes God has sent him to rid the world of an overindulgent appetite for greed. When criminal profiler DAVID CARLISLE is drafted into assist, Carlisle is met by the killer’s wrath. I recently enjoyed The Wharf Butcher that was set in my native Tyneside, so I was excited to read this second book in the series, Satan's Beckoning. There's always something so very special about fiction when it is based in an area that you know well, as it gives a hint of reality to our world of fiction. It was good to meet up again with DCI Jack Mason and profiler, David Carlisle. It feels like they are doing a regional pub crawl as they arrange to meet at several bars of many of our local establishments. Mason has been called out to investigate a car crash in Windy Nook, Gateshead - on an incredibly steep bank running up from Felling to the Queen Elizabeth hospital. What's so unusual about that?, you might say. Well, the car at fault had no driver and it would appear that the lady passenger was already dead at the time of the accident. When similarities become evident between this crime and one 6 years earlier down the coast in Seaham, the police and David Carlisle sift through all the clues looking for a connection. Both victims married older affluent men, but is there any thing that connects them? The addition of Carlisle is brilliant as he is like a secret weapon for the police - he is able to tap some unsavoury sources for information, sources who wouldn't even consider talking to the police. 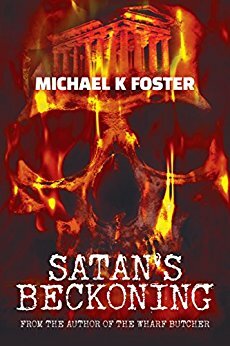 Satan's Beckoning is an outstanding sequel to The Wharf Butcher. 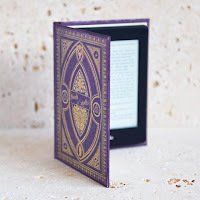 I had sweaty palms gripping my kindle as the final Indiana Jones-esque scenes played out. I think I enjoyed it more as I had got to know the characters so well in The Wharf Butcher so I already knew some of their background and history. Mason and Carlisle are definitely two characters I want to read more about - I just hope they don't end up investigating in my street!